[GIVEAWAY] Amethyst 0mega Presents: BR Harvest Fest Giveaway! Poll: Would you be interested in a Winter Theme tournament in December? Legends in making! I am 0kamii, leader and founder of the Amethyst 0mega breeder's guild and...we haven't done one of these in a while! Our last giveaway was scheduled for May, but for various reasons that never came to fruition. On the plus side, those mons we planned for it are still stashed away in my PC, so I could easily rework them and redistribute them as intended. Regardless, that was then and this is now! I wanted to do a Harvest Fest themed giveaway for a while, but given that I'm not as free as I used to be, time was an issue. But no matter! When you wanna do something enough, you make time! Plus it's still the last week of Novemeber, so this giveaway still works for the month. Probably won't be doing a giveaway next month, though. I'd rather do a tournament. Little Hail Cup V2, anyone? All the same, all these mons were hand-bred by me and EV trained using sets from Smogon and Pikalytics. Their sets are synthesized for Singles and Doubles, so you can change them at will. Some of the items they were meant to be given cost too much at the Battle Tree, so I'll include what item they'll actually have along with what item was suggested. Any questions or concerns, message me or @ me in the thread below. There are 5 of each, so scoop them up fast. The giveaway will be open for about 2 weeks, and all Amethyst 0mega giveaway rules apply. Be courteous, don't be greedy, and say thank you! Also, you can request more than one, but only one per day, and never twice of the same mon. i.e. You can get one of each, but you must request one per day. Enjoy! Not going to draw out the conclusion on this one. It's getting late here, and this guy requries some R&R before his schedule picks up in the coming weeks. Be sure to let me know if y'all would be down for some kind of Winter-themed tournament in late-to-mid December, and I'll see about stringing something together. In the meantime, enjoy the mons I've bred for you, and if you're only just stopping it, Happy (late) Thanksgiving, everyone! And a happy Harvest Fest! Thanks so much for participating, everyone! Battle onwards, friends! 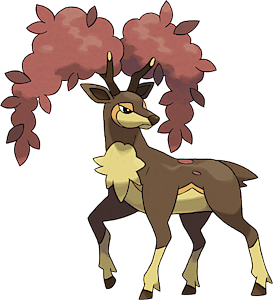 hey i am intrested in your delphox can you send it to omega ruby? This is awesome! Do they come in special balls too? Sadly, no. These mons were bred in Gen 7 and cannot be transferred backwards. However, if you plan on getting Gen 7 in the near future, I can reserve one for you, if you like? 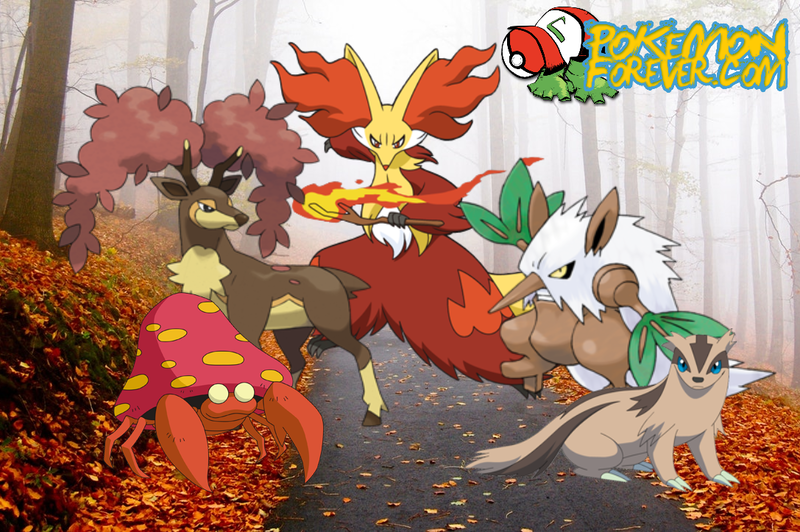 They're all in Poké Balls, except Delphox. Delphox is in a Premier Ball. Yeah, I was going to do Showdon anyway. I learned from the last time I hosted a tournament. Just saves everyone time. (Nov 28, 2018, 11:58 AM)0kamii Wrote: Yeah, I was going to do Showdon anyway. I learned from the last time I hosted a tournament. Just saves everyone time. @DrumminBeard I don't see it. Please check to see if it was sniped. Not sure who'd trade a Delphox for a Mantyke, but you never know. Make sure you're using SM or USUM. Thanks! Hm, between these mons, the only one I'd consider Battle Tree worth would be Shiftry. The others are too frail, and would be easily outclassed by stronger pokémon with similar movesets, i.e. Snorlax, Amoonguss, Chandelure, etc. Shiftry's Speed is doubled in harsh sunlight, so you can pair him with either Ninetales or Torkoal depending on which team you'd like to run (fast or TR). I also made two posts on what mons I used to scale the Battle Tree. I'll link them both here so you can get inspiration otherwise if Shiftry doesn't suit your fancy. One. Two. (Nov 29, 2018, 08:40 AM)0kamii Wrote: @DrumminBeard I don't see it. Please check to see if it was sniped. Not sure who'd trade a Delphox for a Mantyke, but you never know. Make sure you're using SM or USUM. Thanks! I know I'm new here, you don't know me, and you're just trying to help; but that last bit about making sure I'm playing the correct game is a little insulting, if I'm being honest. For your information, it was sniped. You didn't specify a gender or level for these mons, so it was hard for me to be any more accurate in my request than "Delphox." I agree that it's odd that someone went for such a trade, but I routinely get sniped in the GTS; even when trying to trade @Tenebris_Kane for one of those perfect lvl 100 Dittos of his. It turns out, a French trainer going by the name "LeWinner93" was interested in my 'decent' Mantyke, and gave me a 'relatively superior' level 40 Delphox in trade; probably someone just trying to help out a fellow Trainer, not unlike yourself. I'm at work now, and it took me like an hour to find a Mantyke yesterday, so I'll reply here when I get another one in the GTS for you. I guess this is what happens when people on opposite sides of the world try to coordinate. Of course I wasn't trying to be demeaning or insulting. I only mentioned it because I've had that occur before, and then when I can't find their mon on the GTS people get mad. It's like one of those "Is it plugged in?" scenarios. Yeah, I feel bad saying it, but something stating the obvious is necessary. Glad you're not like that, Drummin! So it was sniped after all. Ugh. How odd. If it happens again, we'll just trade directly. The GTS is meant to make the process faster, but you are right about specifications. I haven't done this in a while. The Delphox are all male and BR. So for them you can specify level 41 to 50. Didn't do that for the others because some ran over to 50 or 52. Suppose that's what I get for trying to make things easier!